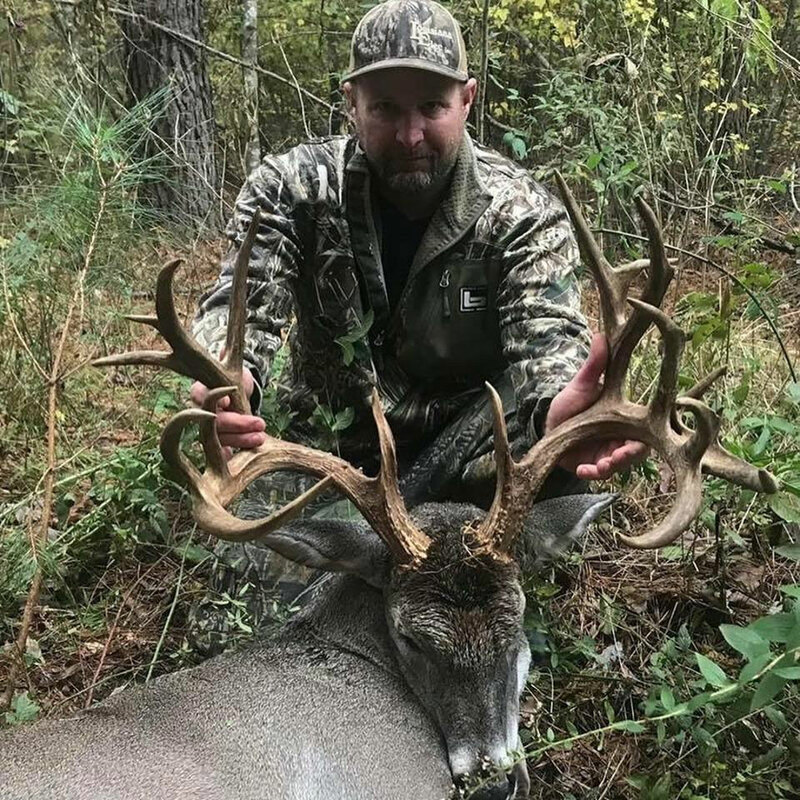 Malcolm Hilburn was about to leave the woods when this giant 204-inch Caddo Parish buck walked out hot on the trail of a doe. Like the old song says, sometimes you need a little help from your friends. So as his brother and son headed for the duck blind, Hilburn, of Benton, struck out for the small 27-acre plot they lease in north Caddo Parish. He decided to wait another half hour before heading out of the woods, and thankfully he did: Just before he was about to leave, a doe came trotting out 50 yards in front of him — and right on her heels was a big buck with its head down solely focused on the female deer. 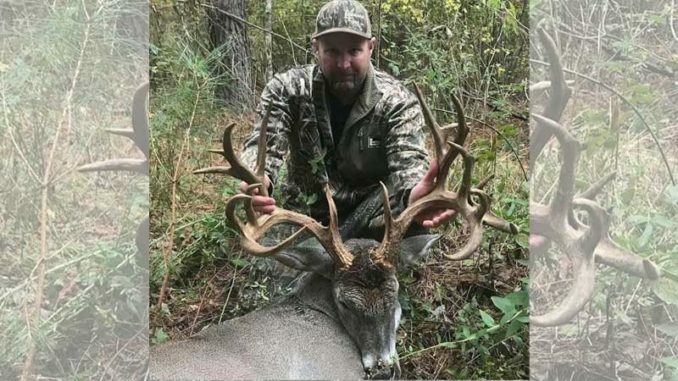 Malcolm Hilburn shot this 204-inch Caddo Parish 18-pointer on Nov. 18. Quickly shouldering his Browning .270 short mag, he tracked the moving deer until he found a small opening, put the crosshairs on what he thought was the shoulder and squeezed off a shot. The buck reared up, turned around and took off. “I called my brother and told him I had shot a good deer and told him I was going to where he was when I shot to see if I could find blood,” Hilburn said. “After about 50 yards, I found some blood so I knew I had hit him. When my brother and son got there, they joined me in the search, we found a blood trail for about 300 yards and then the trail abruptly ended. That’s when help from friends came in the form of the Louisiana Blood Trailing Network, a group of volunteer blood dog owners statewide who put Hilburn in touch with Clint Strother and his dog, Lyla Gene. 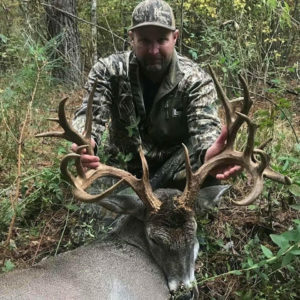 And what a recovery it was: The rack had 18 scoreable points, and the 6 ½-year- old buck ultimately stretched the tape at Simmons Sporting Goods in Bastrop to a whopping 204 4/8 inches of bone.